Both of us have always rented because we’ve basically been in school our whole lives. But it seems like we spend more and more time on Zillow looking at homes every year. 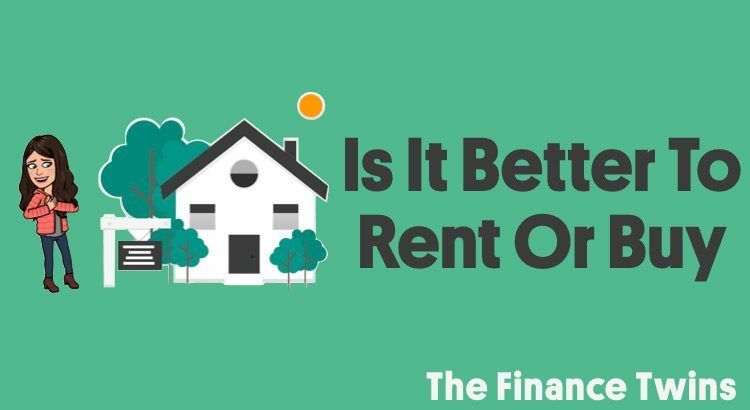 So naturally we always ask ourselves is it better to rent or buy a home. 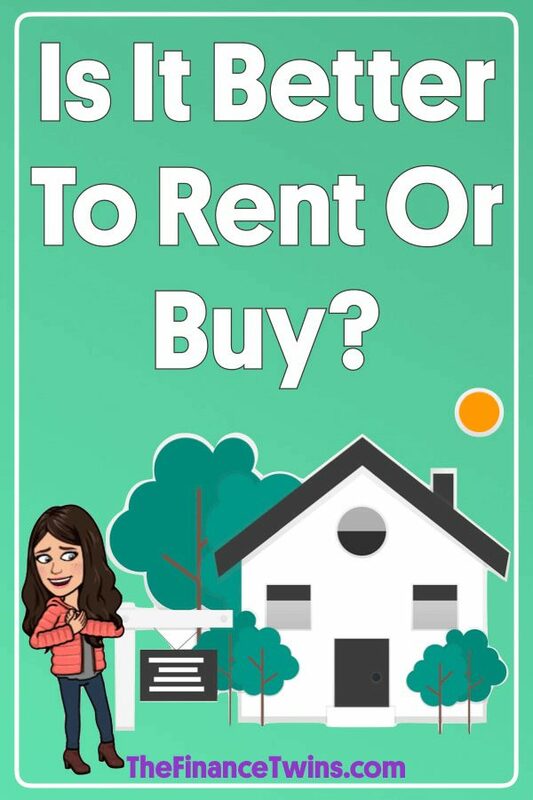 When it comes to buying vs. renting a house, there is always a passionate debate about which is the best financial move. Both sides have valid points, so it can be confusing. In truth the answer depends on a lot of factors. And recent changes in the tax law have also made owning a home less financially advantageous, so knowing if it’s better to rent or buy isn’t getting any easier. In reality, there are many financial reasons why renting may be more compelling. And vice-versa. To begin, you need to make sure you understand whether you are even in a good position to buy a house. Your finances are not your only consideration either. If your social, professional AND financial lives aren’t in order, now is probably not the right time to be buying. You heard that right. Even if you have the money saved up and ready to go, buying might still be a mistake if the other parts of your life aren’t stable. 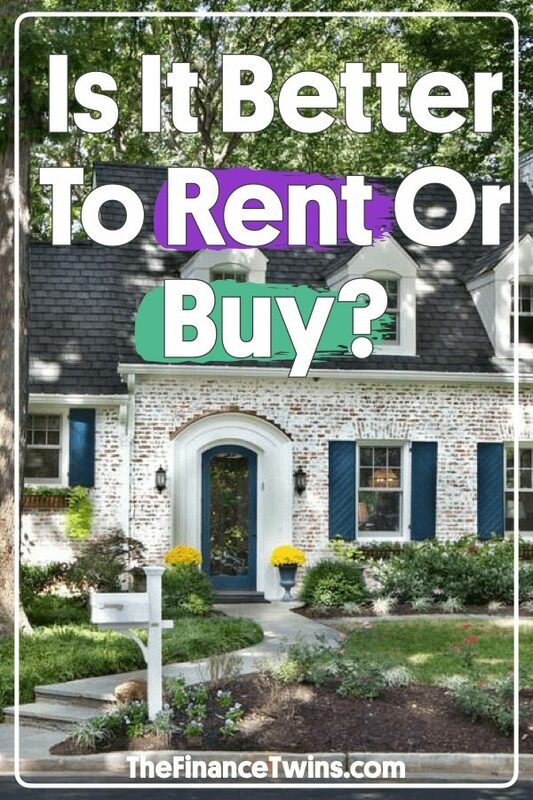 Now, let’s break down this buying vs. renting decision and some of the important factors. There seems to be a widely held belief that buying a home always makes more sense than renting. That it’s a foregone conclusion. You often hear that ‘every dollar you pay in rent is a dollar you’ll never see again,’ while buying a house is a ‘great investment.’ This is misguided for a few reasons. Paying rent isn’t a waste of money. Yes, you won’t see your money again, but you are getting something in return: shelter for yourself and your loved ones. Even when you buy, you’ll be spending a lot of money on interest payments, property taxes and other fees — money you will never see again. These interest payments aren’t going to build equity for you. Owning a house isn’t just sunshine and rainbows. When it comes to thinking about the true cost of homeownership, you need to have a holistic view of all of the related expenses. At first glance, a mortgage payment might be less than your current monthly rent, but that mortgage is just the tip of the iceberg. For many people, the associated costs of homeownership might run as high as 50%+ of their mortgage payment. Ouch. Below is a list of homeownership expenses to get you started as you begin to think about buying a house. This doesn’t even take into account the additional cost of new furniture, upgrades or equipment (like lawn mowers) that new home owners will find themselves buying. After seeing that long list of expenses, it might start to sink in that the cost to rent can certainly be lower than the cost of homeownership. A common rule of thumb is to not purchase a home if you know you won’t live there for at least five years. Why is this the case? For example, if you buy and own a home for 30 years, chances are the closing costs will be more than offset by the growth in the home’s value. On the flip side, if you only own the home for four years, there is a much higher chance that the home’s value won’t have increased (and potentially have decreased). Once you consider closing costs and fees, you’ll likely lose money on your investment. Additionally, the payments at the beginning of the term of a mortgage go disproportionately to interest and not to paying down the principal balance (building equity). This is the perfect recipe for a bad investment. 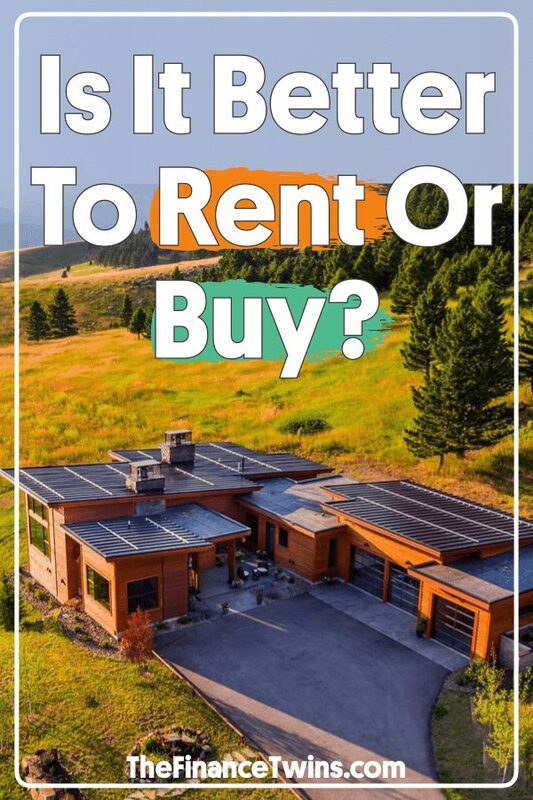 In order to determine whether it makes more financial sense to rent or buy, you’ll need to compare the total cost you’ll pay when renting to the total cost of homeownership. In addition to the costs, you’ll want to take into account the benefits accrued if you were to sell the home, as well as any tax deductions you’d receive via homeownership. This seems kind of complicated, right? Not exactly. In 2014, the NYTimes published an incredibly helpful calculator that made it easy to calculate whether you’d be better off renting or buying a home. The more accurate your assumptions, the more accurate your results will be. Keep in mind, as noted above, that the laws have changed significantly since the calculator was published. You’ll also want to remember that not all taxpayers will be able to claim related tax deductions, which can affect your overall savings. Also, it’s tough to predict how long you’ll own a house, or whether it’ll go up in value, but just use your best judgement. If you and your spouse couldn’t imagine living in any other city, there’s a good chance you’ll be there for a while. On the flip side, if you are 70 years old, there’s a decent chance you won’t live there for another 50 years. For most people, this calculation will make it painfully obvious whether renting or buying a house makes the most financial sense. Once you’ve evaluated the finances and the other non-financial factors (e.g. social, professional), you’ll be on your way to making the best decision regarding whether to rent or own your home. Finally, remember that there’s more to life than money. Even if the calculator says that buying is more optimal, that doesn’t mean you should drop everything and buy a house. If you hate mowing the lawn, shoveling sidewalks, or doing any kind of maintenance, then buying might be a big mistake. Don’t drive yourself to misery to save a buck. Similarly, don’t deprive yourself of your home ownership dream if you can afford it, and if buying isn’t that much more expensive than renting. Knowing if is it better to rent or buy is clearly a very personal decision, but if you take everything into account and make an informed decision, we are confident you’ll be just fine. Good article many forget all the little fee’s that home ownership includes. In my area it is currently cheaper to have a mortgage than rent but I was able to put the recommended 20% down when I purchased. The extra down helped protect my investment during the last part of the housing crisis.